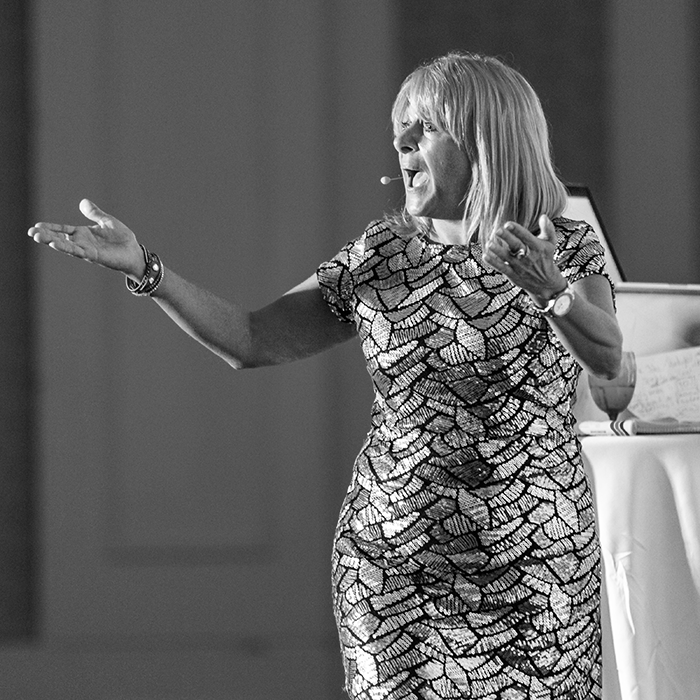 Whether she’s presenting to five or 500, her message resonates on a deep level, enabling her presentations to have residual effect and lasting impact. Affectionately known as ‘sparkles’, Julie is not just a high energy speaker with a few shiny soundbites. She’s is able to connect her message of inspiration, motivation and practical personal development at all levels of business — from corporate CEOs to Childcare Assistants and everything in between. It’s not what happens to us, it’s what we choose to do with it that truly matters. Julie Cross is a force of nature. She presented at our international conference to a room full of leading business owners and she had them on the edge of their seats for over an hour. The standing ovation she received says it all. Julie presents highly customised presentations that include tailored examples, stories and case studies.